As August rolls around we are reminded that our sweet summer days are nearing an end as we prepare ourselves for back to school or squeezing in those last summer trips. This month I want to write about the widespread trend of Smart Phone photography. You may have noticed that just about everyone is taking photos of everything little (seemingly) inconsequential thing and then posting it to their favorite Social Media site. This trend is called Lifestyle Photography and amidst the jokes about needing to take a photo of your food before you eat it, the movement is genuine. Lifestyle photography is all about capturing the everyday moments that exude sweetness and express the beauty of the world so precisely that one is compelled to capture it, forever logging it as a memento of a much grander memory. This movement is nothing new. The Smart Phone Lifestyle Photography movement is an evolution of Street Photography that reaches all the way back to Atget in France in the 19th century and artists in America from the mid-20th century. As seen in the photograph by Gary Winogrand, you weren’t first to photography your food. The Street Photographers were criticized in similar ways that the Lifestyle Photographers are criticized today, in that they have unprofessional equipment and use no discretion as to what they are photographing. 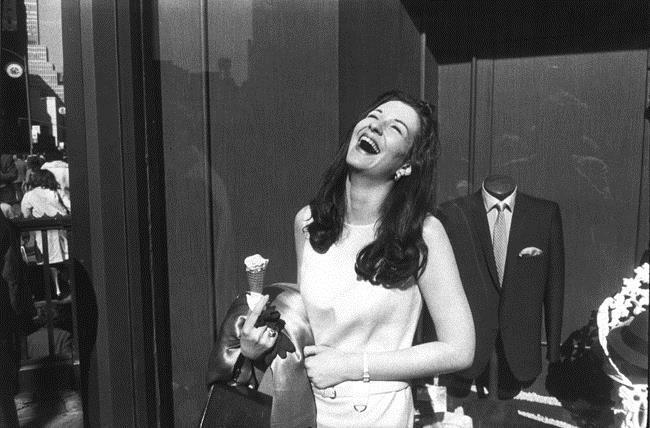 Now I do certainly not want to compare every Instagram account owner with Gary Winogrand, but it is an interesting parallel to consider. Photoshop Express (free for iPhone, Android and Windows) This app is good fo r basic editing and retouching with an easy user interface. Camera + ($1 for iPhone) This app works with your camera to provide options like exposure, flash, varied shooting filters and the editing basics. Camera Zoom Fx ($3 for Android) Basically the Android equivalent of Camera+ with many of the same features. 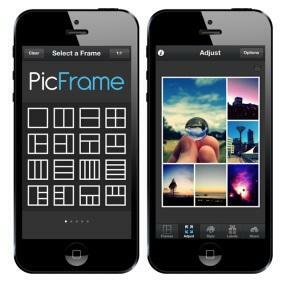 PicFrame ($1 for iPhone, Android and Blackberry) This app is one of the easiest interfaces to use for collages. It offers many different options for layout and sizes. It is perfect for those of you know that you can’t just post one photo of an event on Facebook. Over ($1 for iPhone) This app has amazing text and artwork overlays that add that extra layer of awesomeness to your photos. A Beautiful Mess ($1 for iPhone and Android) Another fun app for text and doodles made by the brilliant DIY designers, Elsie and Emma. Repix (free for iPhone) Once your photo is perfected, this app gives you tons of options to add frames, embellishments and extraordinary filters.